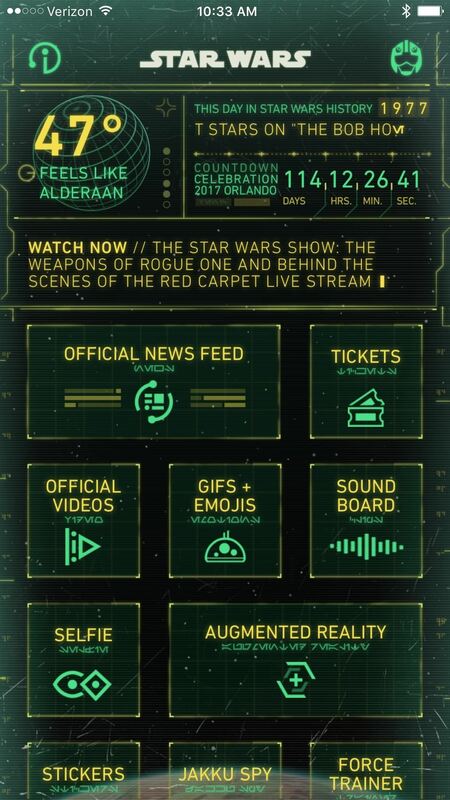 Last year, in anticipation of the theatrical release of Star Wars: The Force Awakens, Disney updated the official Star Wars app on iOS and Android which added Star Wars-themed emojis that you could use in text messages and on social media. Memorable characters such as Luke Skywalker, Han Solo, Darth Vader, Princess Leia, C-3PO, and R2-D2 are included, all designed with a cute and friendly twist. 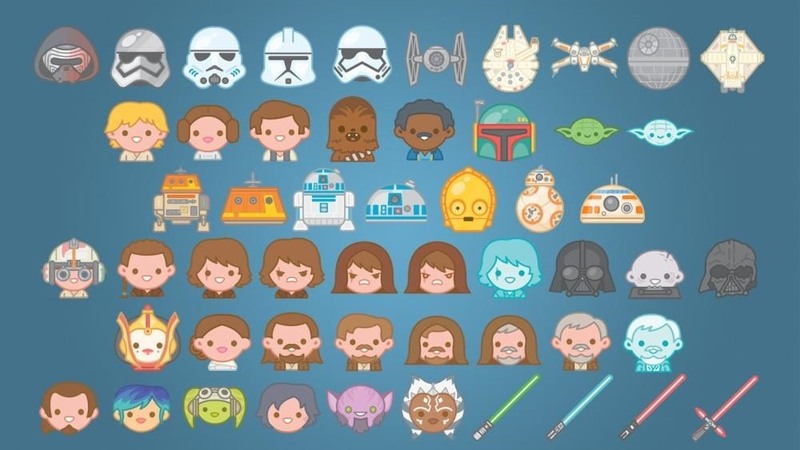 Not only that, but they also include a handful of character, vehicle, droid, and creature emojis from the last big movie, like the crossguard lightsaber used by Kylo Ren, Kylo Ren himself, Poe Dameron, Rey, and the rolling BB-8 droid. 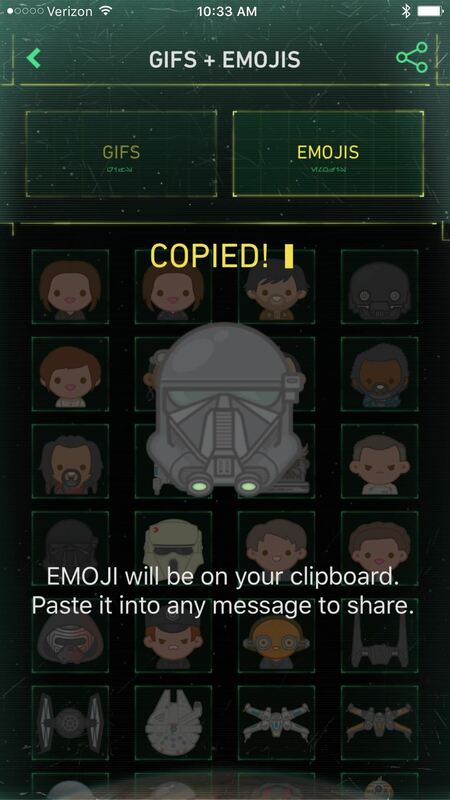 And there's also emojis for Rogue One: A Star Wars Story, including the Shoretrooper, Deathtrooper, Baze Malbus, Chirrut Îmwe, K-2SO, and more. Open the app, then fill in some information and accept the terms and conditions (you don't actually have to sign up for an account). 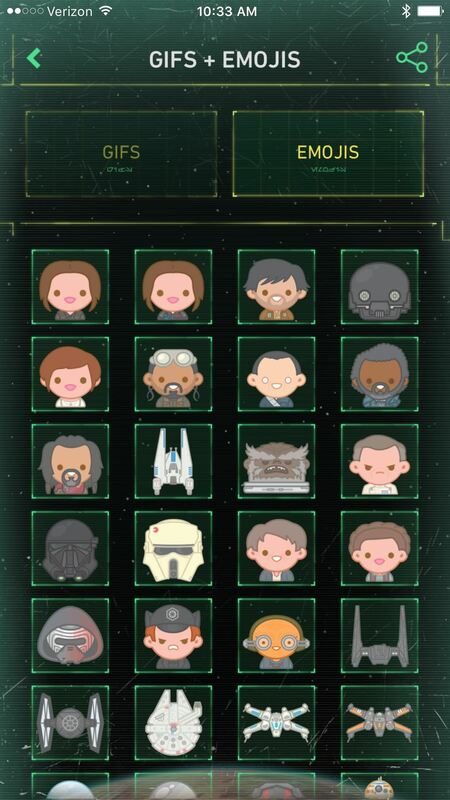 Once you're in, tap on on the "GIF + Emojis" box where you'll see all of the Star Wars emojis—there's over 160 of them! On an iPhone, select an emoji simply by tapping on it, which will copy it to your clipboard. 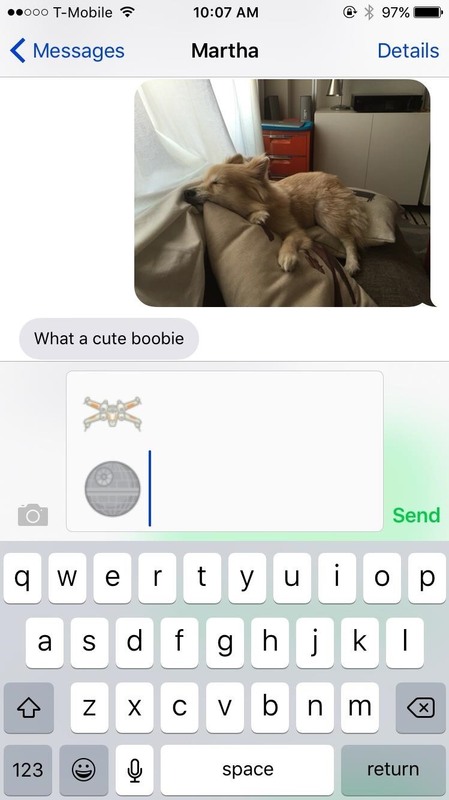 Hold down in any text box to paste it and the emoji will appear as a small image. You could also select an emoji then hit the share icon to add it to a message or use in another app. On the Android version, you should hit the share icon after selecting an emoji, then share to whatever app you want to use, as it doesn't copy to the clipboard automatically. Since there is everything from fighter jets to lightsabers, you can get creative and even drop a short story in your texts, or recreate an entire film if you've got that much spare time on your hands. It should be noted that these are technically small images and not actual keyboard emojis, but that doesn't mean that they aren't great alternatives. 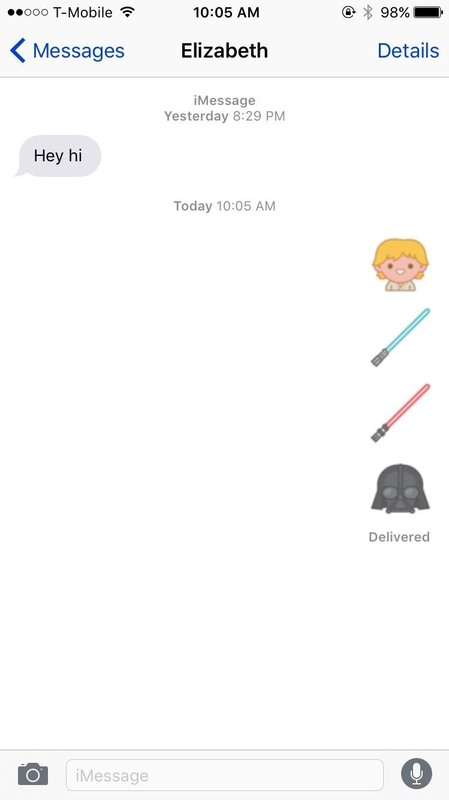 Let's just hope our keyboards come stock with some Star Wars emojis in the future, since it's already gotten the Star Trek treatment (there are iMessage stickers you can use on the iPhone but they aren't free).